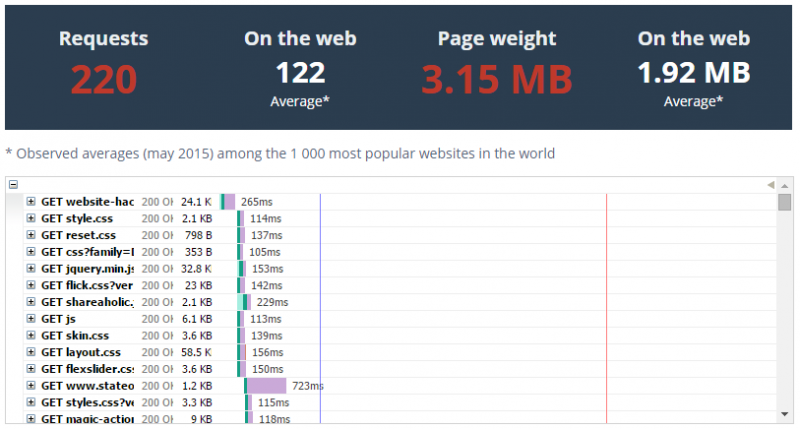 In recent years, load speed has become a hot topic in SEO. 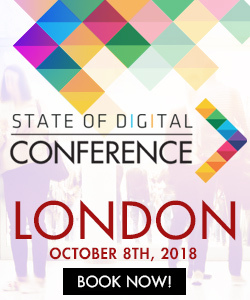 Having a fast-loading website is now more important than ever, with Google looking at load speed directly as a ranking signal, as well as numerous implicit signals depending in part on how fast your pages load. Google’s own PageSpeed Insights tool has been a crowd favourite since it was launched, but for seasoned professionals it doesn’t offer the granularity we need to make actionable recommendations to our clients. My own preferred tool is WebPagetest.org, which has great waterfall-overviews of every element in a page load, allowing for much clearer analysis and more useful recommendations. Recently a new tool came to my attention called DareBoost. 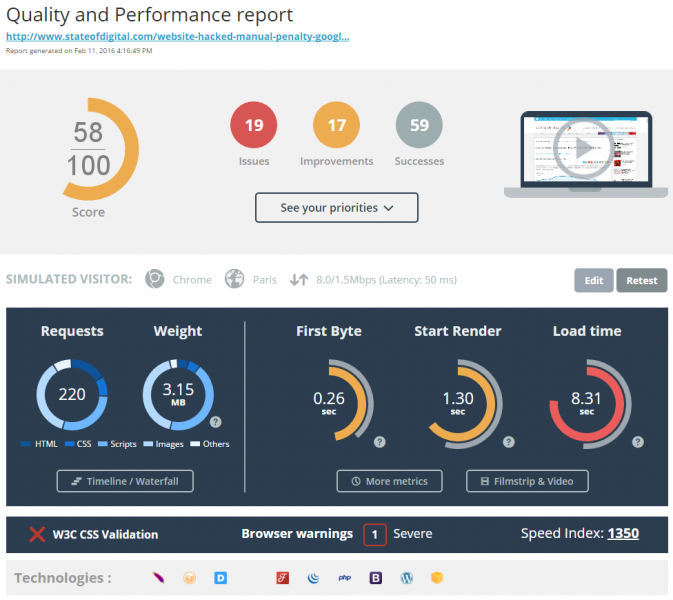 Made in France, DareBoost is a new web performance analysis tool that combines a lot of the features of PageSpeed Insights and WebPagetest. I was asked to give it a try and, if I liked it, to write a review. As you’re reading my review, you can make an educated guess whether or not the tool pleased me. 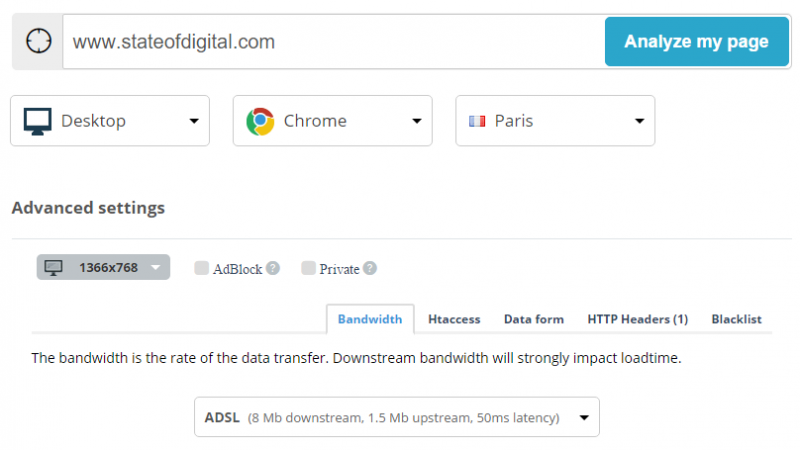 In addition to selecting whether you want to do a desktop or mobile speed test, DareBoost also allows you to select what browser will be doing the test – Chrome or Firefox – and where the test will be conducted from. This mimics WPT, but there are fewer browser and location options in DareBoost, so this does narrow the usefulness of the tool somewhat. However, this is subsequently more than made up for by the additional features. 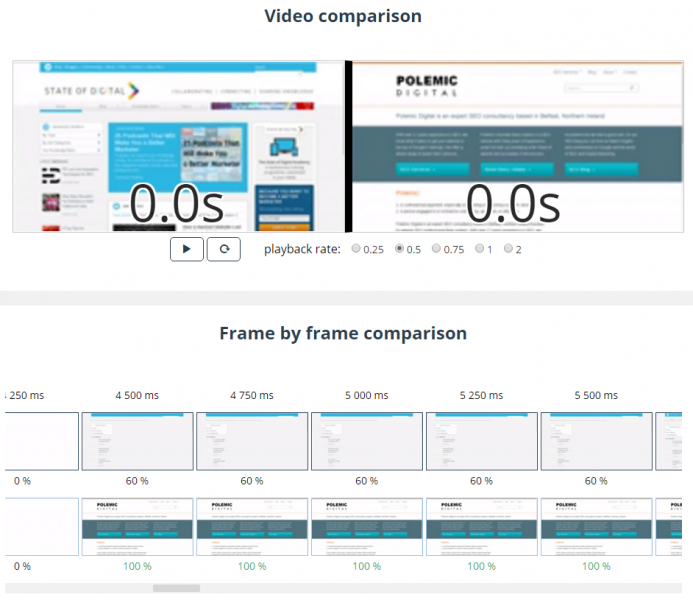 You can, for example, emulate a user with an adblocker, which would allow you to make meaningful comparisons on pagespeed with and without adblocking. DareBoost also allows you to select the bandwidth of the test, provide htaccess login details and form field submissions, as well as customise the HTTP header the test will use to access the webpage. These options give you much more control, and also allow you to test websites in staging environments. Furthermore, you can blacklist certain domains in your test, allowing you to really narrow down on specific issues you want to test your website against. You could, for example, blacklist facebook.com and thus test a website’s load speed as if there were no Facebook integrations present. 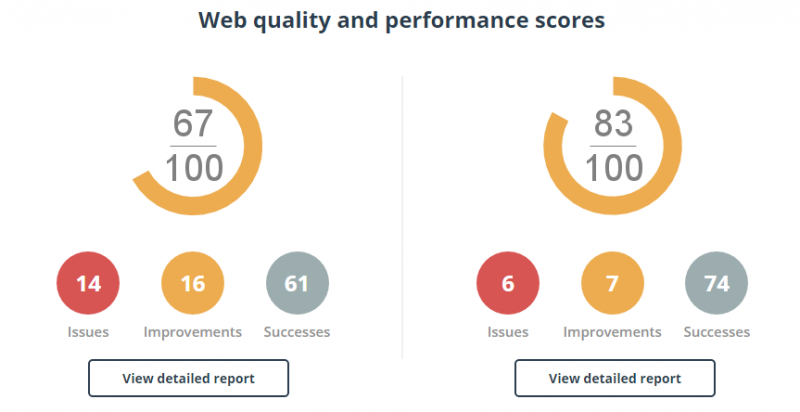 In addition to a grade out of 100 – as PageSpeed Insights provides – DareBoost lists individual issues and improvement recommendations. It also shows you which technologies have been detected on the page, something I always like to have a look at. Furthermore, it will show you whether or not your CSS code validates against W3C’s standards – which, more often than not, it won’t. There’s also a nifty visualisation which shows you the tested webpage’s progress, allowing you to pause as if watching a video to pinpoint exactly where certain elements load and page redraws happen. I found that quite handy and can imagine many uses for that. As with WPT, DareBoost also shows you a waterfall view of all the loaded elements, though I found theirs to be less useful than WPT’s. It takes a lot of scrolling to see the whole waterfall in DareBoost, and there’s less information provided as part of this view as there is on WebPagetest. DareBoost’s real strength comes from the recommendations it makes to improve your load speed. These are neatly categorised and you can click on each type to get a detailed overview of what you need to fix. As such, this tool is very useful for web developers who want to know how they can squeeze more performance out of their website. DareBoost is not merely a lovechild of PageSpeed Insights and WebPagetest that’s been raised on a diet of growth hormones – it has additional features which really make it stand out from the free tools. The comparison tool especially is great, allowing you to compare load speeds of two pages side by side and giving you compared scores for both pages. This would allow you to do side-by-side comparisons of two versions of a page, or of the same page on two different servers, so you can pinpoint exactly where and why load speed delays occur. You could for example use this to test two different designs with identical content, as well as different hosting environments, server configurations, code optimisations, etc. 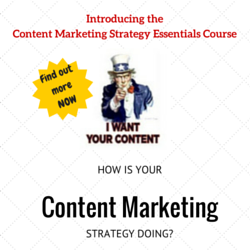 The usefulness of the comparison tool is hard to overestimate. While you can get similar data manually out of tools like WebPagetest, the combined side-by-side reporting in DareBoost makes it significantly better. The graph above only shows a limited dataset, as I’ve only been using the tool for just over a week. 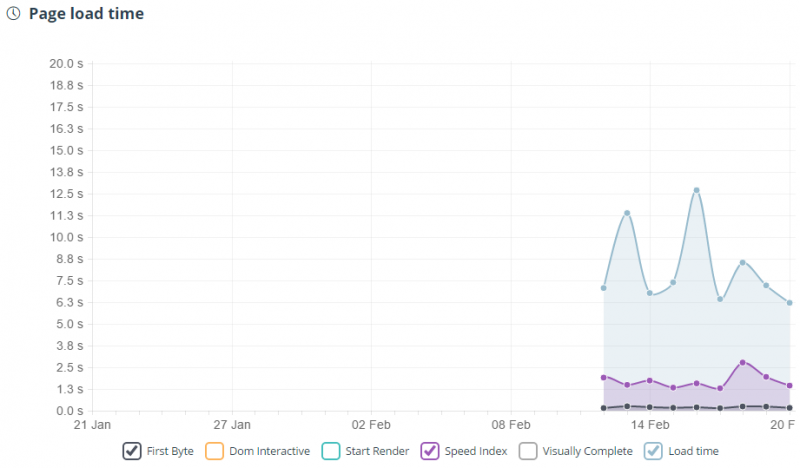 The monitoring function is a great feature that allows you to see progress – or lack thereof – over time, as well as identify regular instances that affect page load speed (for example, when a backup runs or when the site experiences traffic spikes). DareBoost has a few drawbacks that I think need to be addressed. Most urgently, the number of locations from which you can run a test needs to be expanded. Allowing you to do tests from many different locations is WebPageTest.org’s greatest draw, and DareBoost will need to offer more if it wants to draw users away from the established tools. DareBoost does offer bespoke packages that will provide you with custom test locations, which may be a good option to explore for businesses that have the cash and need a great speed monitoring tool. The waterfall view in DareBoost can also be improved, which is on their radar so I expect this to be addressed in future versions. In terms of advantages over its free rivals, DareBoost has many indeed. Its tests are more comprehensive, the recommendations more useful, the comparison option is fantastic and the daily monitoring feature is superb. On top of that, it’s very affordable. The basic package starts at $9/month, and the full premiuim suite – which I used for this test – doesn’t set you back more than $79/month. To me, that’s a very attractive price tag for what is already a great tool that I see myself using on an almost daily basis. 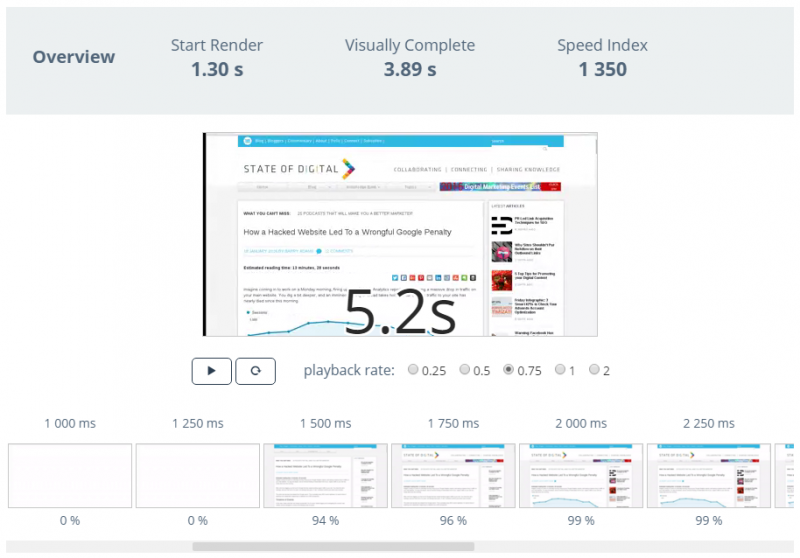 To wrap it up, if you take page speed seriously, you should definitely give DareBoost a try.